All visitors receive guided walking tours. Tours are approximately 1 ½ hours and take you through the surrounding tropical forest area and 3 caves spectacular. 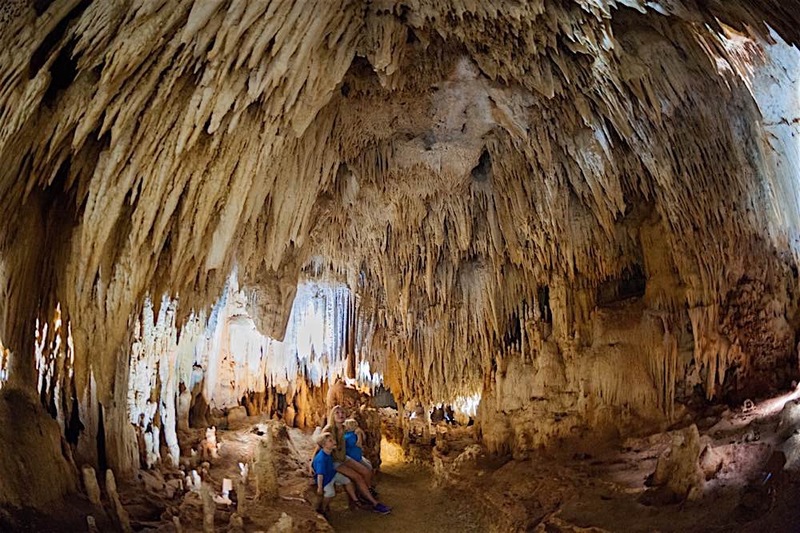 When you visit Cayman Crystal Caves, you will be escorted with a knowledgeable Tour Guide, and you will join us on an adventure exploration of “Cayman Down Under”. You will venture into amazing caves where you’ll see stalactite and stalagmite crystal structures and otherworldly formations, formed by single drops of water and the slow passage of time. Tour through the unique tropical forest nature, under which the caves formed. Amongst the forest and caves are captivating tropical plant and animal life, including strangler balsam trees, air plants, parrots, and bats…. Please Bring Comfortable Attire for warm weather, and Walking Shoes. Cayman Crystal Caves have formed over millions of years. Fossilized shells and animal life in the caves show us that at one time, the mass now containing the caves was all located under the sea. Over time, as sea levels changed and land began to rise, rooms began to form through water erosion, making caves. Within these rooms spectacular stalagmite and stalagtite crystal structures began to form, as rain water dripping through the limestone ceiling of the caves left calcium deposits behind. The caves are still today continuing to evolve. The process of stalagmite and stalagtite formation occurs as rain water becomes slightly acidic when it first travels through surrounding plants, earth and other organic matter. This acidic water disolves part of the limestone as it seeps through the earth, and re-deposits microscopic calcium layers, as the water drips from the cave celings. Over time these deposits collectively form the crystal structures. Hundreds of years ago, Pirates used these caves as hideouts, and also as shelters from the elements, including hurricanes. Legend has it that there are pirate treasures buried in some of these caves. As the Cayman Islands became populated, locals used the surrounding lush lands as farmlands, and mined the caves for rich fertilizer produced by bat guana, as some of the caves are inhabited by bats. In the last half century farming stopped, as the population switched to more lucrative jobs within the tourism and financial sectors. In the early 1990s, Christian and Ole Sorensen undertook an in depth search and exploration of all caves in the Cayman Islands, and began talks with the Cayman Islands government on developing a cave attraction based on the experience from the family’s development of the very successful Harrison’s caves in Barbados. After a few years, it was realized that the crystal caves of Old Man Bay were extremely unique and stood above any other caves in the Cayman Islands, and for that matter, most of the world. It took almost another two decades to purchase the various parcels which encompass the caves and surrounding rain forest, as well as devise a route to the landlocked site from the main road. 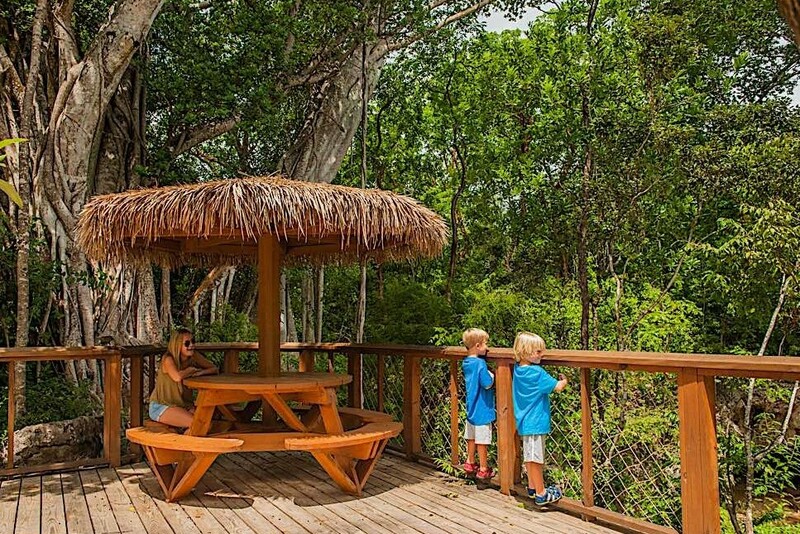 In the last few years of planning the attraction, the Berksoy family, who have vast experience in the tourism sector, joined the Sorensen family in this venture and together they have seen Cayman’s newest and very exciting nature tourist attraction to completion.